Last week’s settlements bring to at least $17 million the final taxpayer cost of lawsuits relating to Sheriff Joe Arpaio and former County Attorney Andrew Thomas’ politically-motivated legal attacks. All of the settlements are related to the sheriff and county attorney’s bungled government-corruption investigation into judges, county supervisors and administrators between 2008 and 2010. Four former judges, three county supervisors, three county employees and one business man also won lawsuits against the county. In 2007, while ostensibly in the midst of secret grand jury proceedings, a special prosecutor appointed by Thomas filed a subpoena against the newspaper, asking the publishers to reveal the internet identities of anyone who read the paper online, including information about what other sites they had visited before and after reading the New Times. Lacey and Larkin published a story about the subpoena on October 18, 2007. That evening, sheriff’s deputies came to their houses, handcuffed them, put them in dark SUV’s with tinted windows plates and drove them to jail. Following public outrage, Thomas dropped the charges five days later. 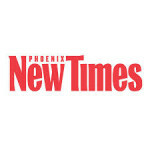 The Phoenix New Times were lucky they were just sued and bogusly “arrested” as the form of harassment dealt to them by politicians who didn’t like having the truth written about their own activities. They could have had their grandchildren kidnapped by the local CPS and held for months and months, all without legitimate reasons. Reads like a very Merry Xmas for those who write the truth and are punished for it. They will continue but more carefully, lay low, setup future scape goats to throw off the dogs ect., because it is already in their nature (Its not about to change)! The entire government, LE and the Courts should have been shut down long ago, people have no more power. Even Karen (I believe) was treated and handled differently than someone else. When this happens it makes me crazy, what do elected officials learn when they can pay a lawsuit off with taxpayer funds? They need to pay with their own damn money! how do I get a dislike on this one? Oh yeah, hi Adam! The truth is soothing to the many silent. Sometimes when you get a thumbs down, it simply means your doing something right. You forgot the (_|_) after your greeting to Adam. For the record…the New Times in this article is NOT the New Times in SLO..and I do not believe they are associated on any way. ANYTHING from a Brent Bozell rag has no relevance to anything or anybody but the far-right nutballs. Bozell has learned to pay this contingency like cheap kazoos. He panders to their anger and fear, cranking up their paranoia in the process.